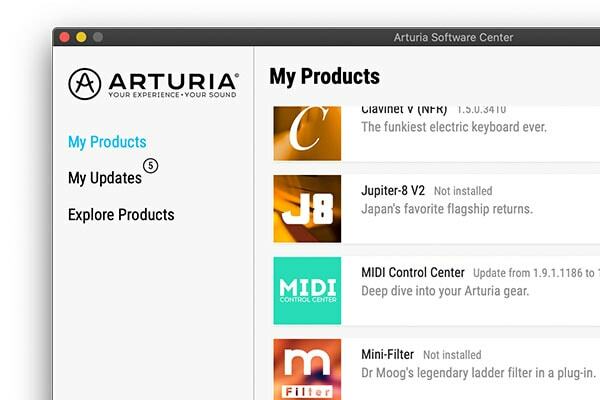 The Arturia Software Center - or ASC for short - is an elegant, simple solution to help you install, activate, and update your Arturia software instruments. Everyone has a unique creative setup, with multiple machines and devices all serving different purposes. 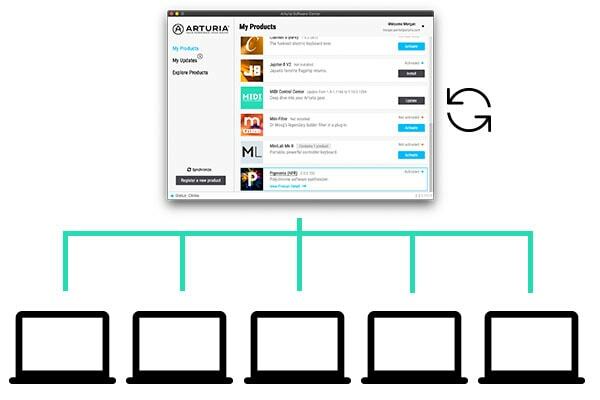 The Arturia Software Center simplifies the often over-complicated process of maintaining your software instrument library. Exclusive to Arturia, the ASC lets you activate your instruments on up to 5 computers, silently installs and updates multiple software titles at the same time, and makes license management simple and straightforward. 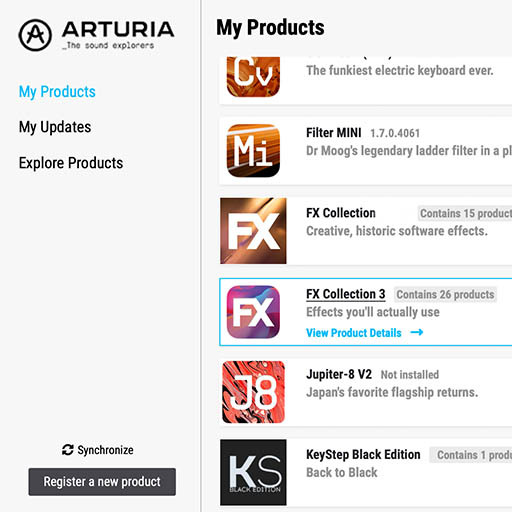 The Arturia Software Center also gives you immediate access the demo versions of any Arturia software you don’t already own, and even lets you register your products offline, without an internet connection. 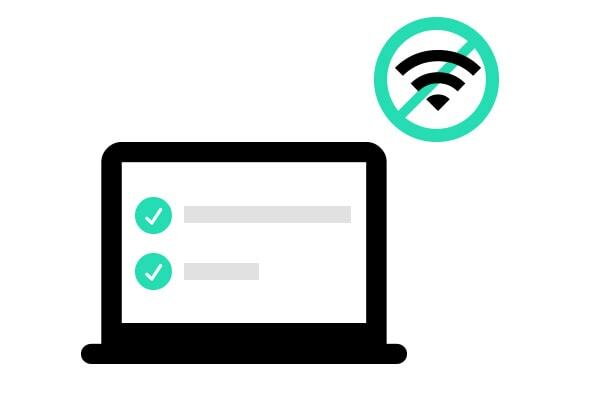 All this, without a dongle in sight. Using the ASC to set up your studio is so quick and easy, you’ll wonder how you ever did without it. No fuss, no mess, no extras. Whatever you need, we are here to help. Check out our comprehensive FAQ on the ASC and instrument installation here.